In a statement from the High Peace Council, released on Saturday, January 26, Secretary General of Shanghai Cooperation Organisation, Vladimir Norov, said during a meeting with the President Ghani’s special envoy and head of HPC’s secretariat, Mohammad Umer Daudzai that peace in Afghanistan is in the interests of the regional economy and added that peace talks between the Afghan government and the Taliban group should begin as soon as possible. 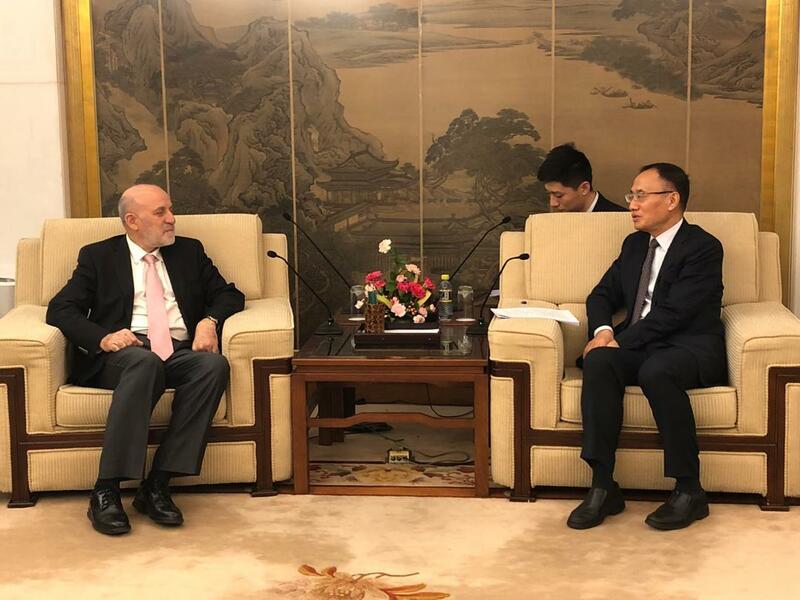 Mr. Daudzai called on the Secretary-General of the Shanghai Cooperation Organization to cooperate with Kabul to coordinate and consolidate regional initiatives in order to build consensus around the Afghan Peace, according to the statement. 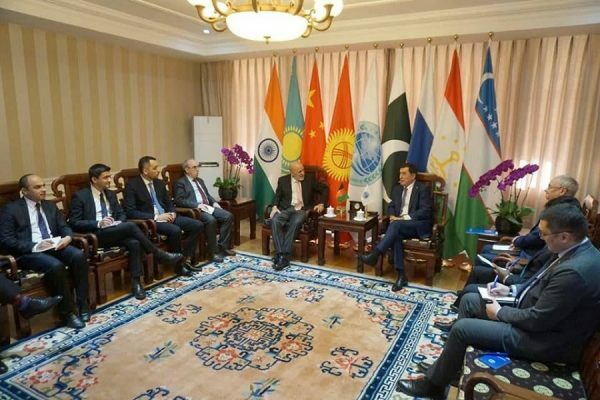 The head of the Secretariat of the High Peace Council of Afghanistan, also called on the Secretary General of the Shanghai Cooperation Organization, to pay more attention to speeding up of the full membership of Afghanistan, the statement added. Shanghai Cooperation Organisation (SCO) is a Eurasian political, economic and military organisation, which was founded in Shanghai by the leaders of China, Russia, Kazakhstan, Kyrgyzstan, and Tajikistan in the year 2001. Afghanistan’s peace is important for SCO as its member states believe a stable Afghanistan will not only be good for itself but also for the larger region. 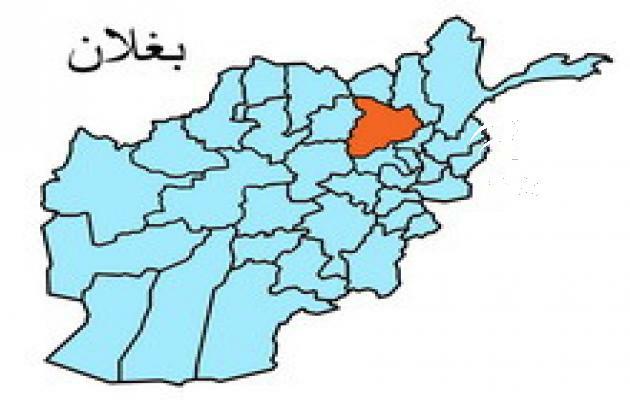 National Directorate of Security NDS informed in a statement on Saturday that a group of kidnappers and armed robbers have been arrested in center of Logar province. Special Unit forces of the National Directorate of Security (NDS) have arrested a group of five kidnappers and armed robbers in an operation in the vicinity of Pol-e-Alam the center of Logar province, the NDS statement reads. 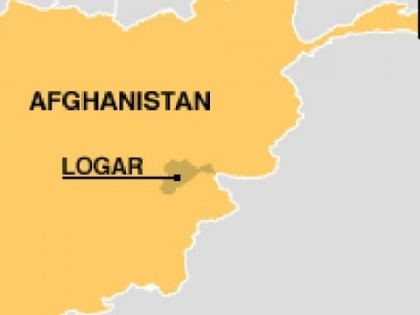 The kidnappers’ network intended to abduct one of the money-changers in the center of the province of Logar, and rob his money. Fortunately, before reaching the target they got arrested by NDS, according to the statement. Security officials have reported on Saturday that five civilians and four Taliban members, including a senior commander of the group, were killed in an explosion in Baghlan province. Hanif Rezaei, spokesperson for the 209 Shaheen Corps, told Reportely that on Friday evening a bomb went off in the Buzkashi field in Tala-wa-Barfak district of Baghlan province which killed five civilians and four Taliban members, including a prominent commander, named Ainuddin, while five others were injured. Ainuddin was one of the most prominent commanders of the insurgent group in Tala-wa-Barfak district and was responsible for the organization of key attacks in the province, Rezaei said. The Ministry of Defense released multiple statements to inform that a total of 18 insurgents were killed in the past 24 hours in the provinces of Helmand, Paktika and Ghazni. 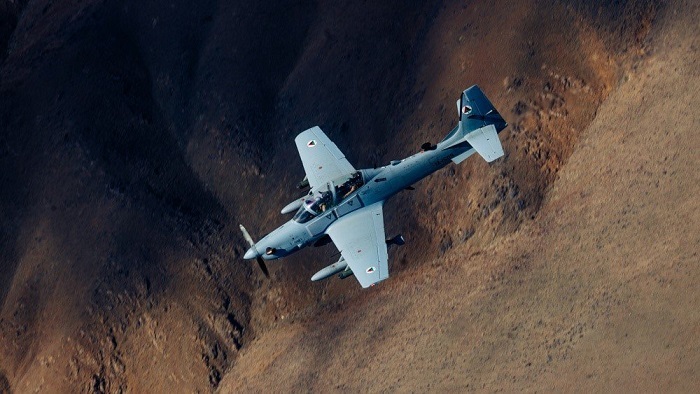 Seven insurgents were killed and 4 others wounded in Afghan Air Force airstrikes in Grishk district of Helmand Province, and four insurgents were killed in airstrikes in Nad Ali and Nahar Saraj districts. Moreover, five insurgents were killed, 3 others were wounded, and a motorbike and some weapons and ammunition were destroyed in ANA clearing operations in Barmal district of Paktika Province. Finally, two insurgents were killed and a vehicle was destroyed in airstrikes in Qarabagh district of Ghazni Province. 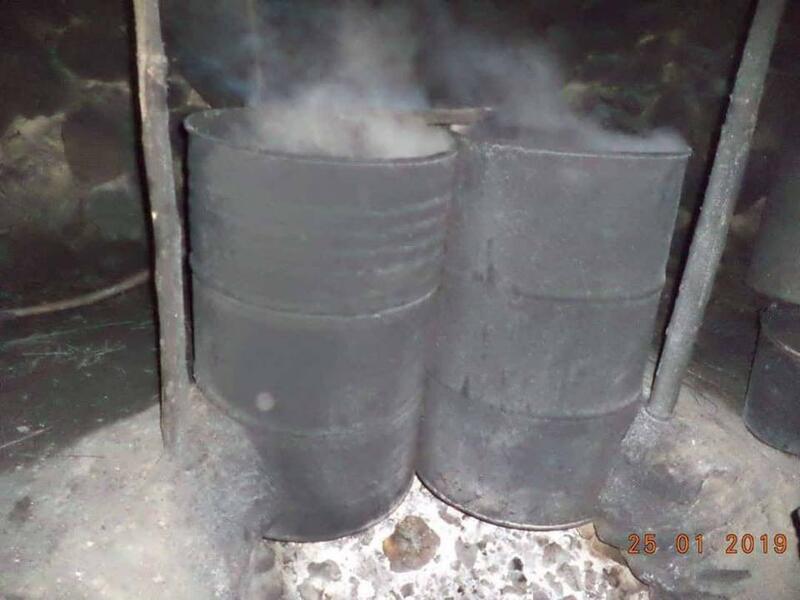 The Ministry of Interior informed in a statement that on Friday, the Afghan Counter-Narcotics Special Operation Police, General Command of Police Special Units and Afghan Air Forces carried out a joint operation in Margi Tarmi village, Shirzad district of eastern Nangarhar province, destroying two heroin factories. Among the drugs and materials, 1600kg of liquid opium, 561kg of ammonium chloride and some amount of chemical substance which has been used in making heroin, were also destroyed, the statement added. 960 AK-47 bullets were also seized by joint forces. On Saturday, President Ghani’s Special envoy Umer Daudzai met with China’s assistant foreign minister Chen Shai Deng. The two discussed China’s role in peace, reconciliation and coordination of regional efforts for Afghanistan peace. President Ghani made sure to stress that the sacrifices of Afghan forces demonstrate “who is doing the fighting”. 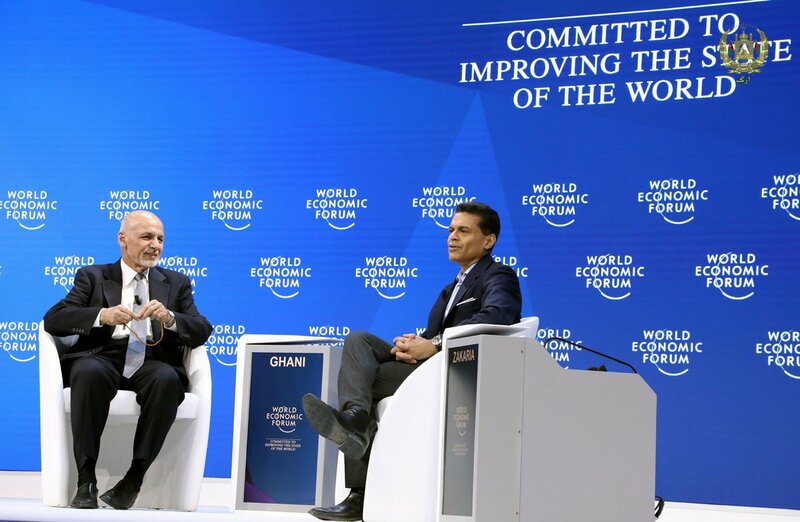 President Ghani while addressing a panel at the World Economic Forum in Davis, on Thursday disclosed some new figures on the casualties of Afghan forces. He pointed“Over 45,000 Afghan security personnel have paid the ultimate sacrifice” while adding that the number of international casualties is less than 72. “We need to get a stable Afghanistan as an entity that can ensure security of America and Europe and others on the one hand, but more fundamentally our own democratic rights and institutions and our right to live in peace and harmony,” Ghani said. He also emphasised on the reforms that government has put into effect in the security agencies, “We have changed our security forces, rootstock and branch during this. Reform of the Inherent Law brought the age of retirement for a general to 56 years. Our four-star general is now retired at 62. Over 2000 generals and colonels have been retired. We are really focused, we have used this and day by day, we are gaining strength,” Ghani said. Earlier this week in Davos, Chief Executive Abdullah also called on the international community to help violence-stricken Afghanistan to fight terrorism and insecurity.